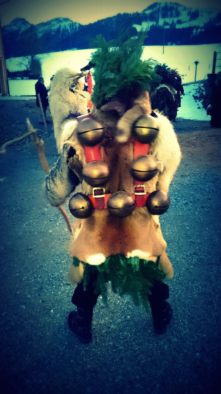 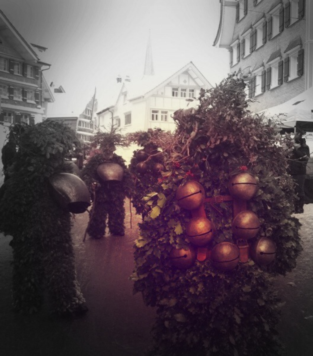 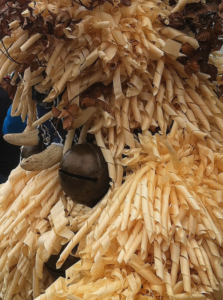 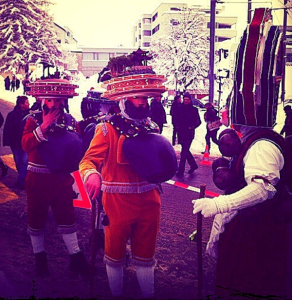 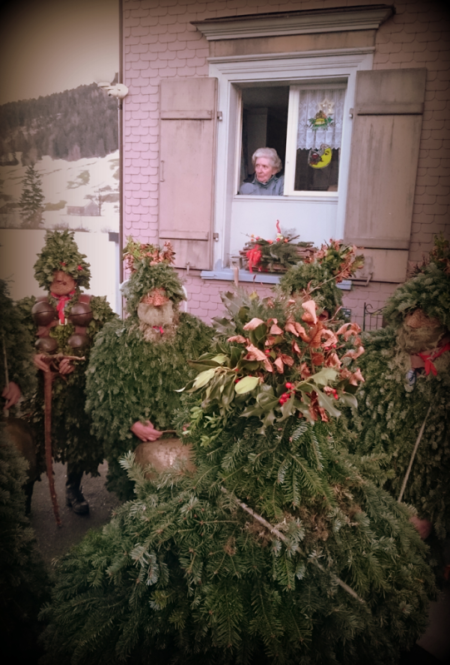 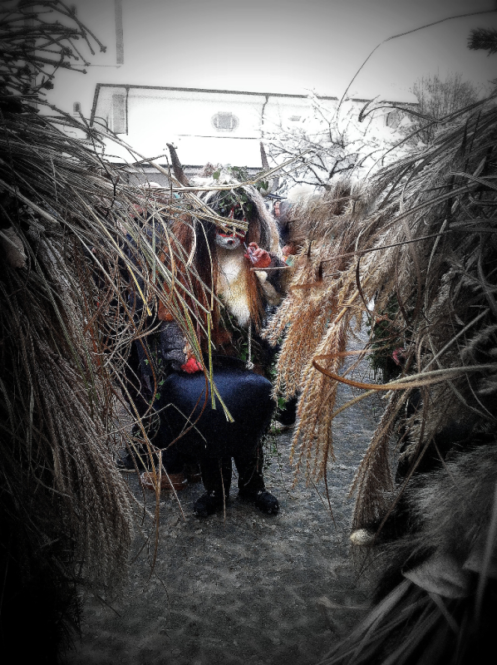 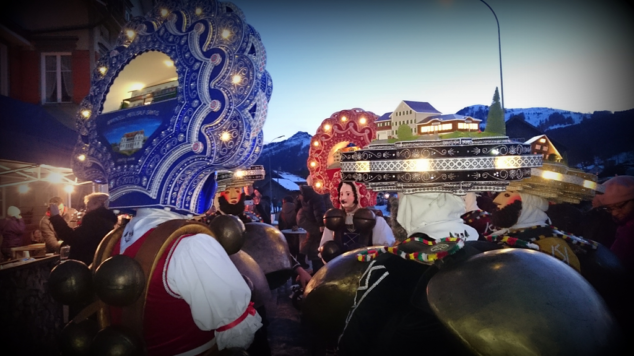 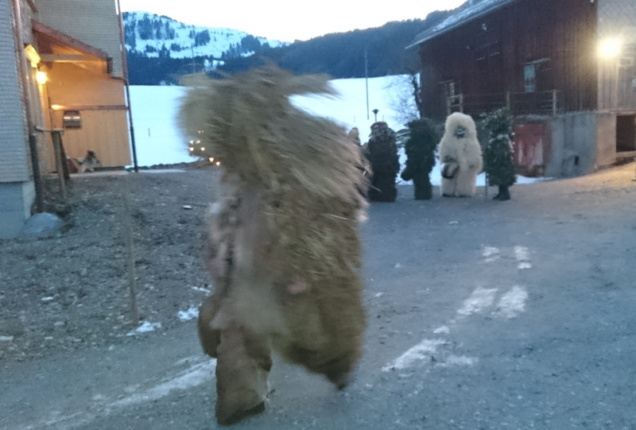 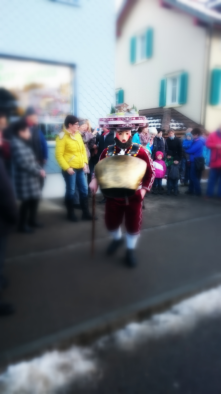 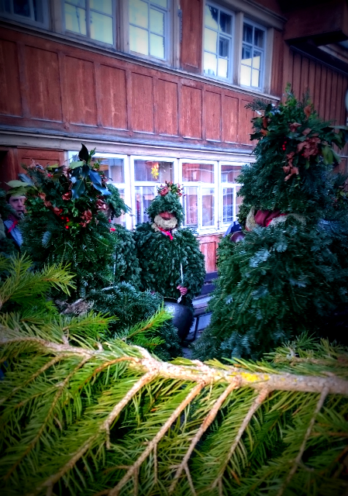 The turn of the year is celebrated twice in Appenzell Ausserrhoden. 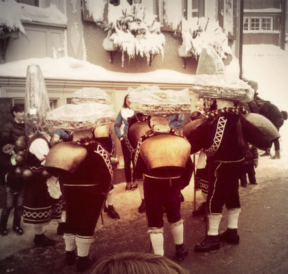 A small county in eastern Switzerland. 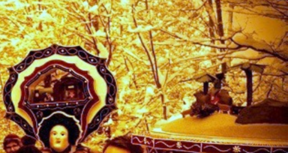 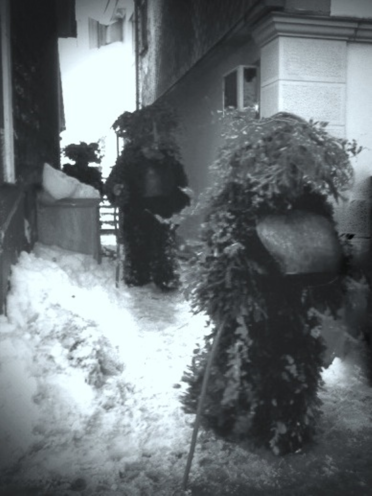 The celebration takes place after the new gregorian calendar on the 31st of December and once after the old julian calendar on the 13th of January. 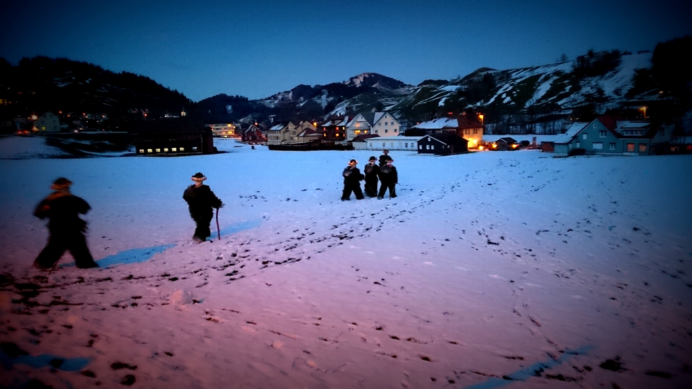 On these days, groups of men running with bells and chimes through the small mountain villages, singing and chanting an old form of the yodel – the “Naturjodel”. 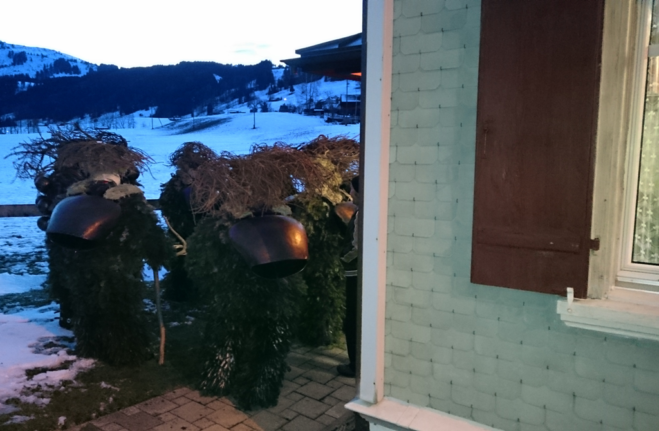 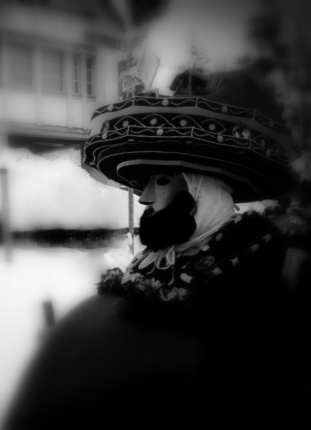 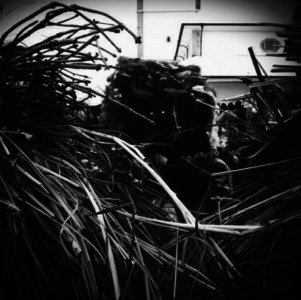 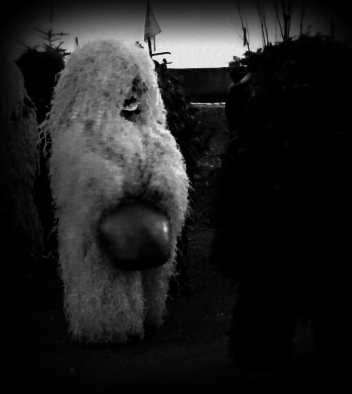 The faces are hidden behind masks and the men are called “Silvesterchläuse”.